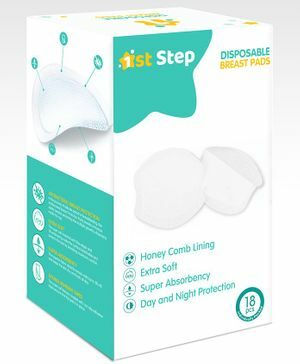 1st Step presents this pack of 18 disposable breast pads. Ultra thin and weightless breast pads with 1 mm thickness are made with breathable breathable material that are soft and comfortable on the mother's skin. With unique 3D side leak guards that prevent milk leakage allowing mommies to stay at ease the whole day.